Easter is a great celebration in the life of the follower of Jesus as we remember the sacrifice Jesus made on the cross for the world and the victory won through the Resurrection from the dead. We will offer and enjoy several gatherings as a part of the Easter Weekend Celebration in 2019. 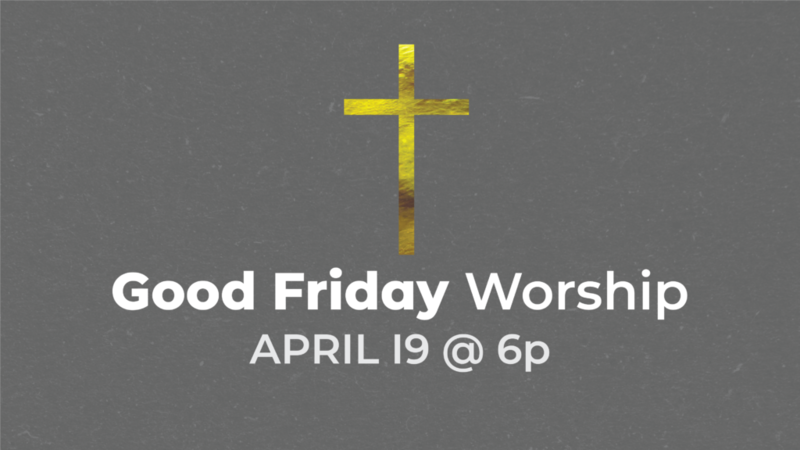 On Friday, April 19, we will remember the sacrifice that Jesus paid on the cross for us with a Good Friday Worship Gathering at 6p. 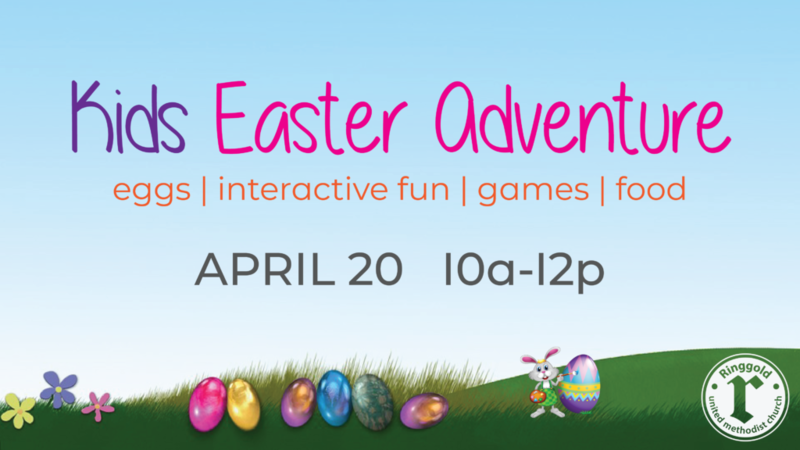 On Saturday, April 20, we would like to invite all kids and families in our community to the Kids Easter Adventure at 10a. Think about the Kids Easter Adventure as more than just a moment or a bag of candy. 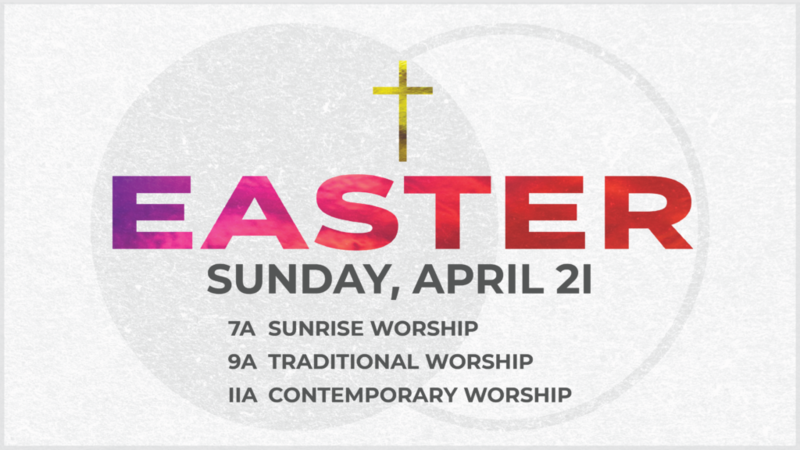 On Easter Sunday, April 21, we will have three worship opportunities for our church and community. 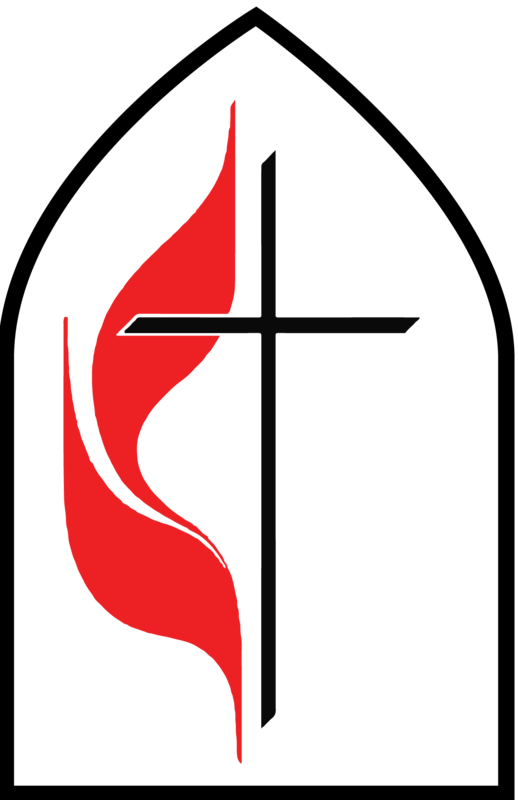 We will begin with Sunrise Worship at 7a out by the bell tower, we will have a Traditional Worship Gathering at 9a, and we will have a Contemporary Worship Gathering at 11a.